Immediately the device just feels so… Small? Taking it out of the box and removing any plastic packaging leaves you with what essentially feels like a large phablet, ready to install Android apps on. Instead, what we have is a console – an actual console – one that can literally fit in your pocket. It’s amazing how much of a difference the JoyCon make. 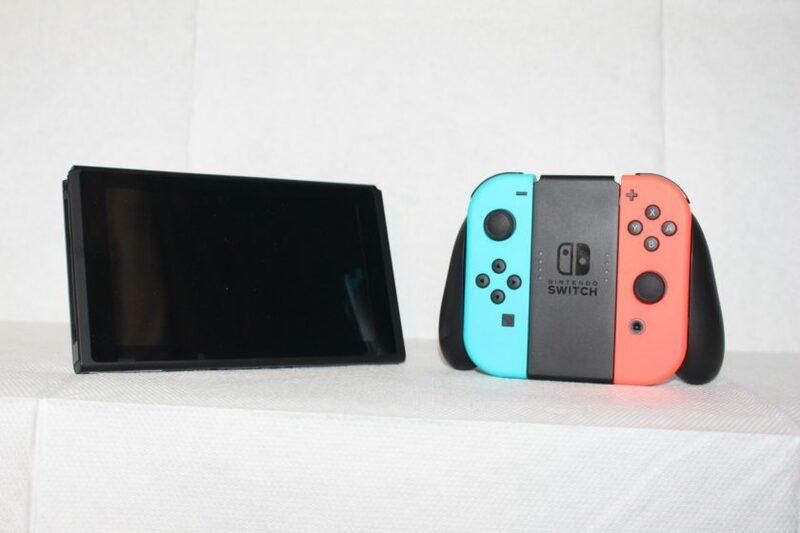 The Switch goes from an uninspired looking tablet to a fully functional handheld console in a blink of an eye – and not one of those suspect tablets with gamepad controls simply sticking out of the sides, no, this is a full-fledged gaming console, and just from holding it in your hands you can tell. Snapping the JoyCon onto the sides of the Switch is a delight. 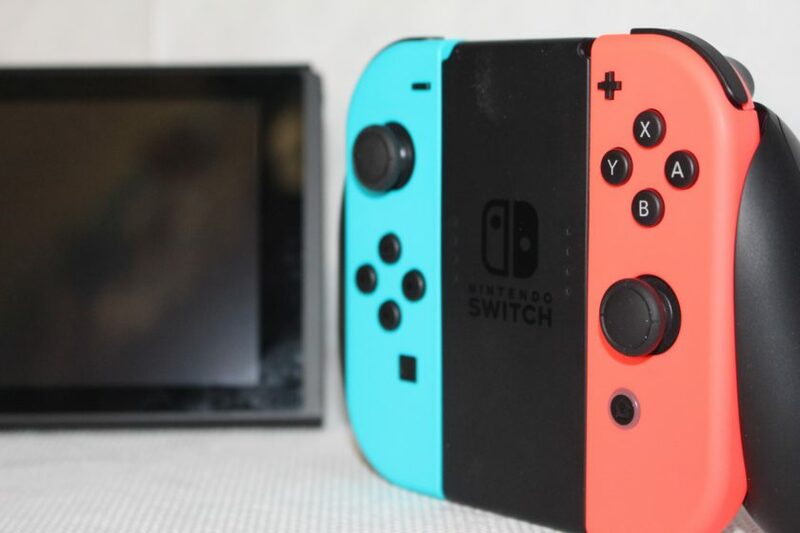 Turned off, the JoyCon simply let out a small and satisfying click when slid into place, and while turned on the Switch itself chimes the now-iconic snap sound effect. Unfortunately, the analog sticks on the JoyCon I find to be a small let down. They’re sensitive enough and feel good under your thumbs, but you can tell there’s not as much room for you to push against them as is there are on traditional control sticks – something not everyone will notice, but a Switch Pro Controller will be necessary for everyone else. Although the JoyCon feel nice when attached to the console, they still feel like they’ve been adapted for a tablet form factor, with the JoyCon themselves of course being very flat, to perfectly match the profile of the Switch itself. The JoyCon Grip changes that, taking the JoyCon from flat and uncomfortable, to a near-perfect game controller. The grip sits wonderfully in your hands without the JoyCon, but with the JoyCon in place you suddenly have a fully functioning game controller – a controller which still manages to be far better than launch controllers of other systems in the past, despite being a unique modular design. 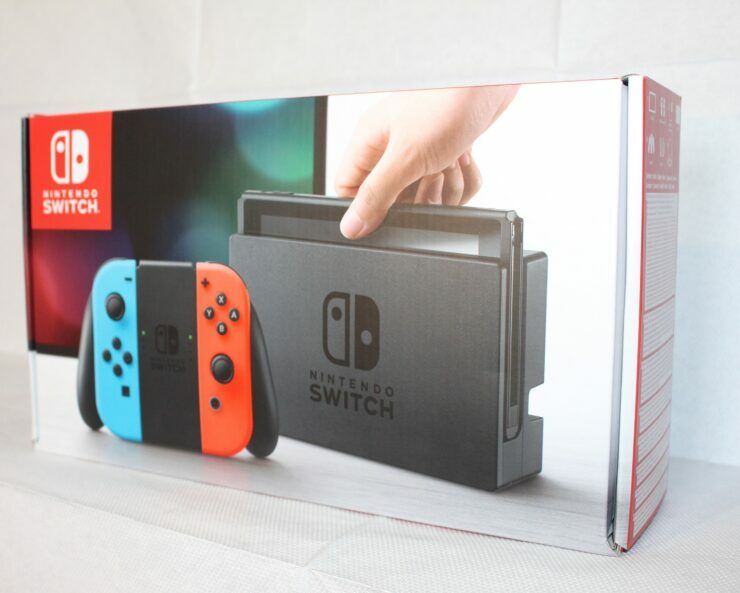 I’m positive most gamers buying a Switch will be satisfied with this for a majority of the games they play. Not much to say here, other than the dock is a stylish piece of kit. It fits nicely under your TV, blending in with any surrounding devices you may have. 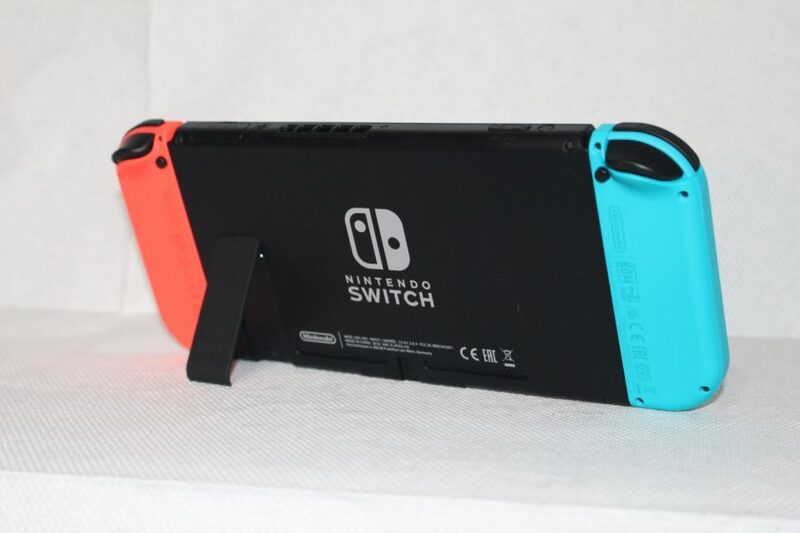 The Switch inside the dock soft-locks into place, so snug and comfortably that you can almost hold the dock vertically before the Switch falls out (we do not recommend testing this, and you should definitely not vertically mount your Switch docks). The back of the dock has a port for a power adapter, using USB C as the device itself does, an HDMI port, a USB port and then two further USB ports on the side of the dock, for easy access.